It is 2011 and gamers everywhere have such a large variety of platforms to play on that the choice has become quite a difficult one to make. Gone are the days that the computer dominated game play, Sony's Playstation, Microsoft's Xbox, Nintendo's Wii have all steamrolled their way into the market to create a diverse and competitive market which has only increased the need for producers to listen to the customer's opinion to make a better all round gaming experience. While the odd platform specific game does rear its head, games seem to be released on all platforms to reach the widest audience possible. Playstation does have the advantage of being a HD Bluray system that means that it is not only a gaming system but the compelte entertainment system for the family. Wii had the advantage of motion sensor controls and games, but it seems others have caught on to the concept which has meant that the Wii has begun to struggle in sales. Xbox has a strong, loyal group of followers, however it struggles to attract a newer audience due to the fact that online game play is only available once it is purchased. 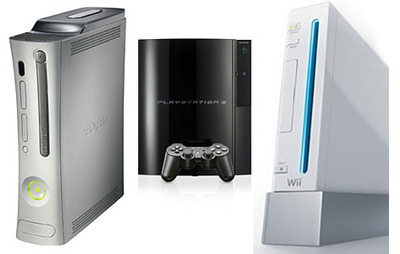 The Wii and Xbox are much more affordable to a younger audience though, as Playstation platforms still range past the $400 mark. With so many reasons for and against individual systems, who reigns supreme? Does the vintage PC still reign supreme? Does the Playstation dominate your dreams? Does the Xbox have the X factor? Or is the Wii just that damn good? Show your true colours and let your opinion be heard, tell us why the system you use is the best. I, for one, believe that the Nintendo Entertainment System is the best console of all time. Yes, it's only 8-bit and it came out in the 80s, but nowadays all game programmers seem to care about are the graphics. Yes, the graphics are good these days, but that's the problem; they put so much effort into the graphics that the gameplay hardly gets focused on, and thus the game is not fun to play. The NES, on the other hand, has cheesy graphics yet fun gameplay, making it a better console. So, there's the lesson, gamers; better graphics don't make a better game. The Playstation 1 will always be my favourite console. It was the first I ever had. Unfortunately, I don't have it anymore. The console I have at the moment is the Wii, and I think it has some great games like Mario Kart with the wheel, and I love using the Wii Fit.